Pedestrian figure walking towards it starts with you. Yellow pedestrian figure on the road walking towards it starts with you. conceptual image with text message over asphalt background. Yellow pedestrian figure on the road walking towards IT STARTS WITH YOU. Conceptual image with Text message over asphalt background. Yellow pedestrian figure on the road walking towards WORK. Conceptual image with Text message over asphalt background. Yellow pedestrian figure on the road walking towards STARTUP. Conceptual image with Text message over asphalt background. Yellow pedestrian figure on the road walking towards DEBT. Conceptual image with Text message over asphalt background. Yellow pedestrian figure on the road walking towards VACATION. Conceptual image with Text message over asphalt background. Yellow pedestrian figure on the road walking towards GOAL. 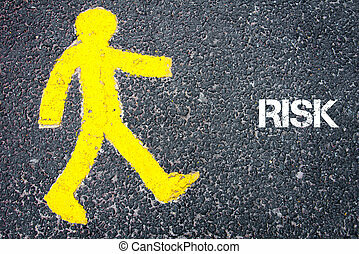 Conceptual image with Text message over asphalt background. Yellow pedestrian figure on the road walking towards WORKSHOP. Conceptual image with Text message over asphalt background. Yellow pedestrian figure on the road walking towards TRAINING. Conceptual image with Text message over asphalt background. Yellow pedestrian figure on the road walking towards RISK. Conceptual image with Text message over asphalt background. Yellow pedestrian figure on the road walking towards SUCCESS. Conceptual image with Text message over asphalt background. Yellow pedestrian figure on the road walking towards WEEKEND. Conceptual image with Text message over asphalt background. Yellow pedestrian figure on the road walking towards HAPPINESS. Conceptual image with Text message over asphalt background. Yellow pedestrian figure on the road walking towards EXCELLENCE. Conceptual image with Text message over asphalt background. Yellow pedestrian figure on the road walking towards UNKNOWN. Conceptual image with Text message over asphalt background. Yellow pedestrian figure on the road walking towards GROWTH. Conceptual image with Text message over asphalt background. Yellow pedestrian figure on the road walking towards DEADLINE. Conceptual image with Text message over asphalt background.